It happens every year, artists who deserved to be recognized are not. Looking at the Grammy’s this year I’m not angry, but I’m also not excited. There is no category that I am dying to see the winner for, which is rare for me. Still, I was disappointed to not see some names on the nominee list, especially in the R&B Category. Now I won’t actually be making my official winner predictions until the week of the actual Grammy’s, so this article is merely to vent about the artists that should have been recognized, but were not. Without a doubt the biggest surprise of the night belong to Katy Perry who is nominated for Album of the Year. This is the second year in a row that I am most disturbed by this category. I will admit that I am still sore that Taylor won the award last year, but I can’t handle another undeserving artists winning the award. After making predictions this past week the official nominations were announced last night. I will break down the categories starting tomorrow because there are too many shocks and snubs to be mentioned today. I have to say though I was a little underwhelmed with the nominations, and honestly angered by some of them, but you’ll have to come back tomorrow to find out who and why. Still, some of the people I predicted were nominated, but I got so many wrong, and I underestimated a lot of the nominated material. I covered the main 4 categories individually since Monday and broke my predictions down. I decided that I didn’t want to stop there, so I’ll just do a big post predicting a few more categories. I won’t explain each one so you can draw your own conclusion. I’ll actually be working tonight when the nominees are announced, but I will give my thoughts on the main subjects throughout the week. Before I made my predictions I think it will be important to go over the difference between Record and Song of the year. Basically, Record of the Year is given to the actual artist who is performing the song, the producer, and engineers, while Song of the Year goes to the actual songwriter only. That being said a lot of the songs that are nominated for Song of the Year tend to be nominated for Record as well. A few of my predictions will be the same, but there are a few songs I think may be recognized. I was shocked last year when ‘Fearless’ won album of the year. I’m hoping that I won’t be as disappointed this year considering that this is the highest honor of the entire night. In an age where albums seem to be diminishing, there are always a few each year that stand out. A good album is consistent, it makes a statement. A good album sound complete, missing nothing. It’s hard to find an album thats perfect, but considering the work that was put out this year there are a few standouts. 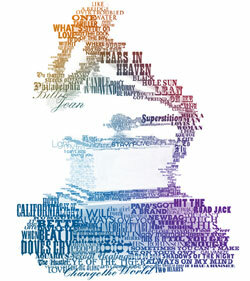 One of the most important Grammy’s of the night is Song Of The Year. It’s such an interesting category because the biggest song of the year could be snubbed a nomination all together. A song needs to stand out to be reconized. We are in a phase right now where a lot of songs sound alike because of the popular dance sound on the radio. While a lot of those song are good I wouldn’t expect to see songs like ‘DJ Got Us Falling In Love’ or ‘I Like It’ in the category. I think there are some obvious choices this year, but I would not be surprised to find an obscure song in the mix. Last year there was controversy over Lady Gaga’s inability to be nominated for Best New Artist. She was nominated at the 2009 Grammy’s for ‘Just Dance’ before her album was eligible to be nominated. Her album, ‘The Fame’, was released after the cut off date, which meant it would be up for nominations at the 2010 Grammy’s. Since Lady Gaga was nominated prior to her albums eligibility, it prevented her from being nominated for Best New Artist in 2010. 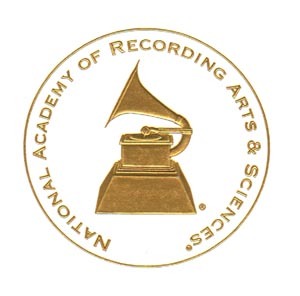 Grammy rule was that an Artist could only be nominated for Best New Artist after an album was released for consideration, and if they had received any prior nomination they were ineligible. With the Grammy nominations occurring on Wednesday I wanted to officially kick it off on the blog. All week, along with the regular stories, there will be some type of Grammy story posted. Whether it’s predictions of nominations, interesting history, or opinions on the actual nominees, get ready for Grammy overload. Overall this year has been an interesting one in music, so I am expecting the Grammy’s to reflect that. Best New Artist should be an interesting category after the rules changed thanks to Lady Gaga.